GET READY TO WAKE UP HAPPY. 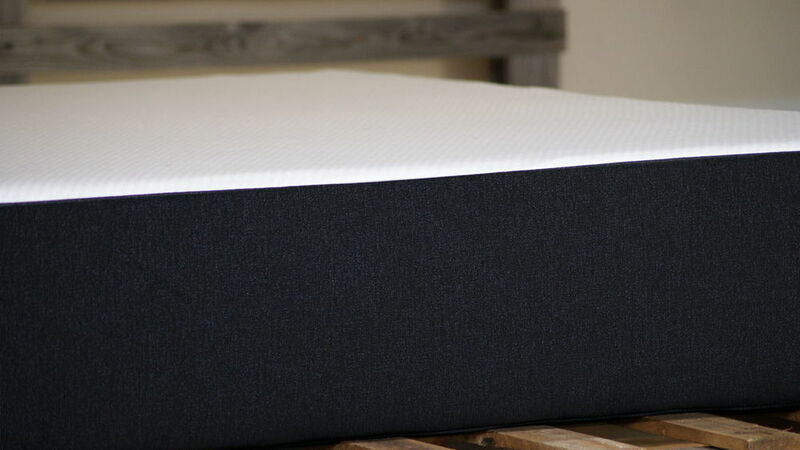 LEARN ABOUT WHAT MAKES A FIN Mattress A REAL PREMIUM QUALITY LATEX AND MEMORY FOAM MATTRESS designed with just the right balance of hugs, bounce, coolness, support and feel for a fintastically awesome sleep. FIN comes in 3 heights with free Delivery and a 100 nite home trial. 10 INCHES OF AWESOME COMFORT. A REAL PREMIUM QUALITY MATTRESS AT AN AFFORDABLE PRICE. Designed with just the right balance of hugs, bounce, coolness, support and feel for a fintastically Perfect Sleep. FIN comes in six sizes and three heights with free shipping & a 100 day in home trial. Not just made in the USA - every component inside a FIN is USA sourced - a part of the design formula that makes the FIN Mattress so good, FIN really has only the good stuff inside. Doctor Jo is a licensed Physical Therapist and Doctor of Physical Therapy, tests out the FIN mattress from first opening. After two weeks sleeping on the FIN, reviews her experience, then demonstrates some stretching techniques & how best to wake up happy. FIN mattress. That's why we say "Only the Good Stuff Inside." Each mattress is custom made to order and delivered by UPS within 7-10 working days. Fin has 40% more comfort layers than other online mattresses. Fin combines a top layer of latex with gel infused memory foam and supportive base. FIN uses only high quality USA sourced materials. Not all foams are created equally. Some less expensive foam mattresses have materials from Asia where quality control and use of harsh chemicals can be an issue. FIN is made in a state of the art factory that has been hand making mattresses for over 50 years. We have top industry experts for design & production. We know quality sleep is important to health, productivity and a positive attitude, so most of all we want you to Sleep Happy & Wake Up Happy. WHY A FINTASTICALLY AWESOME SLEEP? Because we use Only the Good Stuff Inside! A FIN MATTRESS USES ONLY THE BEST selected QUALITY MATERIALS INSIDE. GET TO KNOW FIN AND SEE WHAT HE'S MADE OF. A REAL PREMIUM QUALITY MATTRESS AT AN AFFORDABLE PRICE. FIN COMBINES THE COMFORT OF PREMIUM MEMORY FOAM WITH THE BOUNCE AND COOLNESS OF LATEX feel. a FIN mattress uses only the best selected quality materials inside. Get to know FIN and see what he’s made of. A real premium latex & memory foam mattress at an affordable price. FIN combines the comfort of premium memory foam with the bounce and coolness of a natural latex feel. We keep the prices down and the quality high. We build & deliver your mattress within 10 working days of your order being placed. If by chance your not into FIN, no worries. *All we ask is you try FIN for at least 30 days. Still not convinced within the 100 days, we'll arrange to have FIN picked up and give you a full refund. YES it's Fintastic.